Are you addicted to Post-It Notes? Do you use them to remind you of that doctor’s appointment next week or what to pick up at the grocery store for dinner tonight? 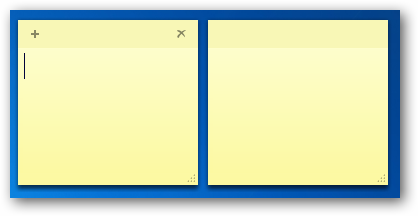 Windows 7 has its own built-in version of the Post-It Note called Sticky Notes. Sticky Notes act, and even look like, Post-It Notes. If you are looking for a way to make notes on your computer without restoring to going through a stack of Post-It Notes every week, Sticky Notes can quickly become your new addiction. 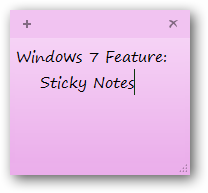 Sticky Notes is available on the following Windows 7 versions: Enterprise, Home Premium, Professional and Ultimate. They also support touch and pen input if you have a tablet or touch screen PC. 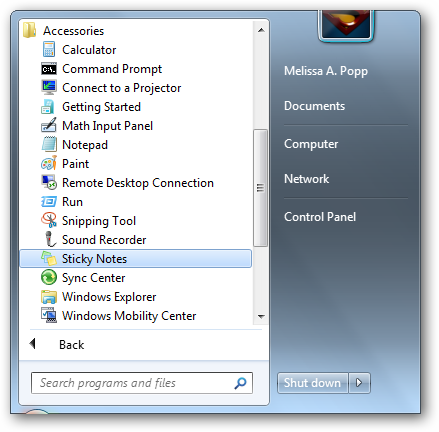 Let’s walkthrough how to use Sticky Notes in Windows 7 and you will see how much easier it is to rely on virtual notes than have your home or office cluttered in colorful reminders everywhere you look. Then, find your “Accessories” folder and open it. Click on “Sticky Notes” to open your first one in its original familiar yellow form. You can now type any note you want into the text window. 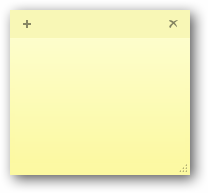 You can resize the Sticky Note by clicking the bottom right-hand corner and dragging it to the size you need. If you want to change the color of your Sticky Note, you want to right-click in the text box area. You can now choose from a handful of colors. 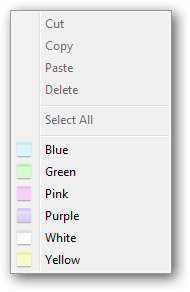 Simply click a color to change it. If you want to open a new Sticky Note, you want to click the “+” in the upper left-hand corner. This will open a new note next to the original one. 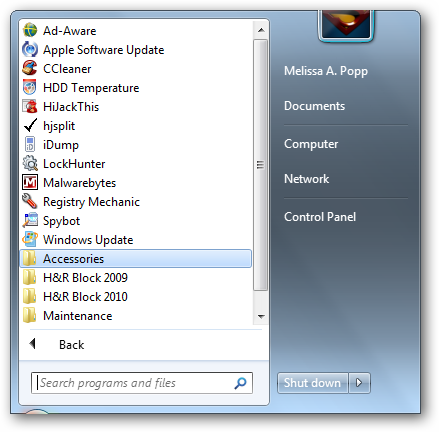 These are all the basics you need to know to begin using and taking advantage of Sticky Notes in Windows 7. Now, you may be wondering if you can format Sticky Notes beyond how they originally load up. The answer is yes, but you will need to utilize keyboard shortcuts to do so. There are no other built-in options in Sticky Notes themselves. It might be a good idea to right these keyboard shortcuts down on a Post-It Note until you memorize them. 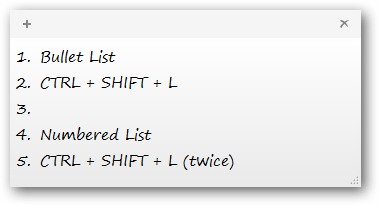 If you want to switch back and forth between list types, you can then click CTRL + SHIFT + L again to make the change. Just keep doing that to your text until you find the type of list you want. You can choose from: Bullets, numbers, lowercase letters, uppercase letters, uppercase Roman numerals and lowercase Roman numerals. 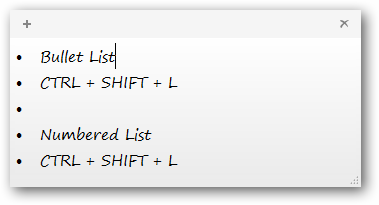 If you want to get rid of your list, you can either delete it one bullet at a time or cycle through the type of lists until it is removed for you. You can continue to use this command to increase the size even larger or returning to its original size. You can continue to use this command to decrease the size even smaller or returning to its original size. At the moment, the only way to change the font itself in Sticky Notes is to copy and paste the text you want to put in one from another program like Microsoft Word. 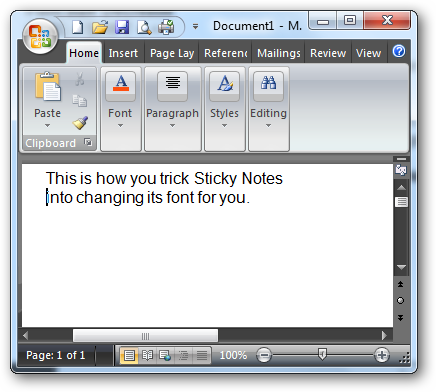 Just type up what you want in your Sticky Note in a program like Word. Then, copy and paste it into an open Sticky Note. That note will now retain the font you used from the original program so long as that note stays open. For some Sticky Notes users, including myself, having them pinned to the taskbar is a quicker way to open a new note when necessary. 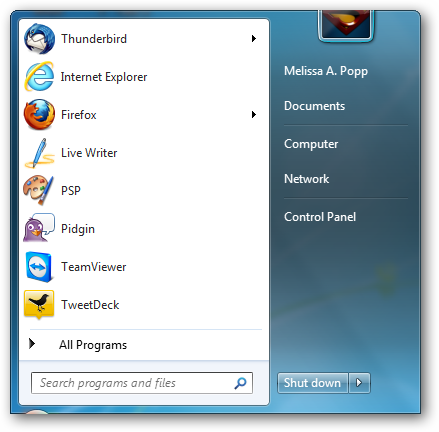 In order to do this, you want to navigate back to the Sticky Notes in your Start Menu. Now, right-click on the link instead of opening a new note. 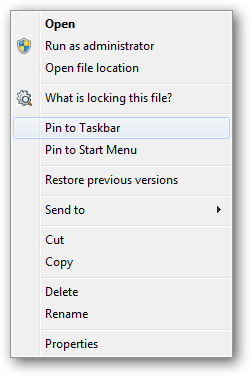 Click on “Pin to Taskbar.” Voila! Sticky Notes are now pinned to your taskbar and much easier to open up and start using. If you are not using Windows 7’s Sticky Notes feature, you are missing out on a great way to keep on top of things especially when on your computer. While Post-It Notes are good for gentle reminders, if you have something you need to do on your PC and the note is nowhere to be found, chances are you will forget to do it. Sticky Notes allows you to keep a note on your computer to remind you to check your e-mail, pay that credit card or even start a Post-It Note for that grocery store run you need to make later in the day. Sticky Notes are an unobtrusive way to remind you of the things we often forget. Give Sticky Notes a chance and see how effective they can be when working on a computer instead of picking up that pen and Post-It Note. Besides, who likes to see Post-It Notes creating a frame around your monitor? The only thing Sticky Notes might frame is your desktop, and the clean-up on those as you complete your tasks during the day is much simpler.